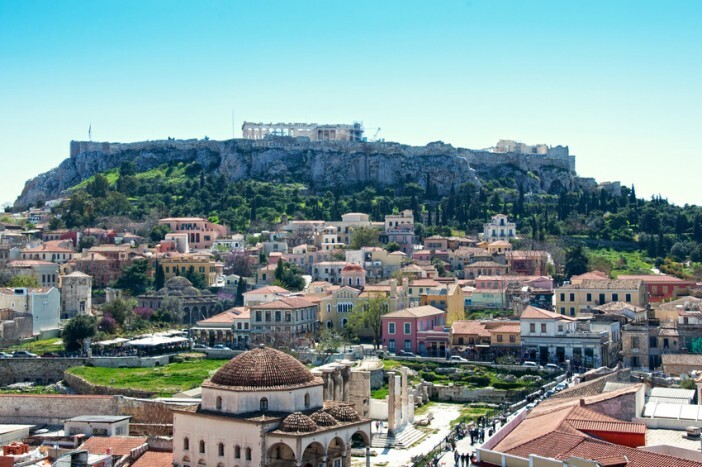 With a history spanning over 3,400 years, Athens is one of the world’s oldest cities and the birthplace of modern western culture and thought. 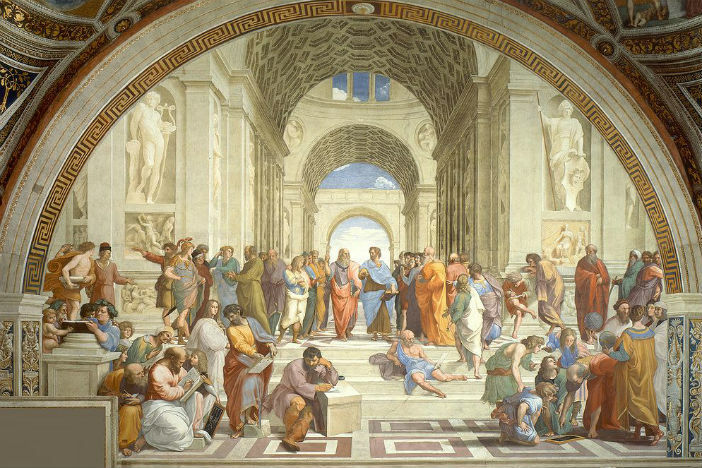 During the classical period of ancient Greece, Athens was a world centre for arts, learning and philosophy. Today, Athens is a thriving city that combines a fascinating heritage with burgeoning modern culture. If you’re planning a stopover in Athens on your next Mediterranean cruise, this guide has everything you need to explore this exciting city. Experiencing the stunning architecture, art and culture that was developed in ancient Athens, and continues to influence modern civilisation today, is an important part of visiting this historic city. The ancient Agora, a famous marketplace than once hosted some of the greatest minds of the western world and now stands in ruins, is the perfect place to begin your trip into ancient Athens. In the time of Socrates and Plato, it was the centre of city life, filled with the vibrant colours and sounds of market traders, artisans and citizens. Important aspects of public life were conducted here, including judicial decisions and discussions on religion and philosophy which have shaped our modern world. Extensive excavations have taken place on the site, revealing the ruins of temples, a concert hall and long, colonnaded arcades that were once thriving with life. The museum provides a little more detail on its history, as well as showcasing some smaller finds, and is well worth a visit for a glimpse into everyday life of ancient Athenians. Entry to the ancient Agora also includes your admission to the Acropolis hill sites, and the ‘high city’ should definitely be your next port of call. Climb up through the dappled greenery of the olive groves, until you reach the Propylaea gateway that leads to one of the world’s greatest historical sites. Explore the Temple of Athena Nike, once an important place of worship, the Erechtheion and the famous Parthenon, all so much more spectacular than the numerous pictures seen in history books and travel magazines. The museum restaurant is also surprisingly good, so be sure to pop in for a delicious and well-priced lunch. If you want to take a little piece of the ancient world home with you, it is hard to beat Byzantino’s wonderful handmade jewellery. It’s not a cheap treat, but these beautiful, handmade copies of the ancient Greek pieces found in the museums around Athens are worth saving up for. Made in the family-run workshop in Athens, Byzantino jewels are uniquely Greek and can be seen sparkling on many a Greek celebrity. Athens is a unique city, which has the threads of the ancient and the modern running side by side throughout. The modern city is vibrant, with locals favouring the quieter areas where art and food are flourishing, away from the tourist hubs. A great way to experience the everyday bustle of modern Athens is to visit one of the city’s wonderful markets. The Monastiraki Flea Market is a great example, provided you can make it out of bed in good time on Sunday morning. Held in Avissynias Square, you’ll find a colourful array books, paintings, clothes, trinkets and much more. Sold, and often made, by local vendors, it is a much better place to find unique keepsakes of Athens than the tourist shops. If you want to discover where the hip locals hang out, head over to Kolonaki where trendy bars and stylish shops vie with each other for your attention. This is the perfect neighbourhood for just wandering around and soaking up the atmosphere. With a mixture of designer, boutique and affordable shopping, and some of the most stylish locals around, you won’t struggle for browsing opportunities. When you’re tired of window shopping, or all spent up, there are loads of cute coffee shops and cool bars to grab a drink and watch the world go by. On an evening, Kolonaki comes alive, with the local trendy crowd pouring into the small, stylish bars. For those who prefer somewhere a little more low-key, Piraeus, the ancient port of Athens, is a wonderful place to wander through picturesque streets and drink in the balmy atmosphere. The open-air Veakeio Theatre has a variety of concerts throughout the summer, with a mixture of modern and folk music, and is the perfect place to relax with a drink among the locals. Piraeus also has some of the best seafood restaurants in Athens, so don’t leave until you’ve sampled the outrageously cheap marine delicacies. If you want to experience the best of modern Athens, there is no better way to do it than through your stomach. As with many Mediterranean countries, Greece has a thriving culinary scene built on the foundation of outstanding local produce. Funky Gourmet is the perfect example of this, with a menu that showcases Mediterranean cuisine with an innovative twist. Recently awarded its second Michelin star, local dishes such as botargo (salted and cured fish roe) are given new life with a focus on flavour and activating the senses. They offer a variety of degustation menus, depending on how many of their amazing dishes you want to sample, and the neoclassical building that houses the chic restaurant is the perfect backdrop to the exquisite cuisine. If you want an authentic taste of Greece, in a surprisingly touristy area, then you can’t go wrong with Psarras. One of the few places in Plaka where you are likely to find plenty of locals, this romantic restaurant has been serving up hearty Greek home cooking since the late 19th century. 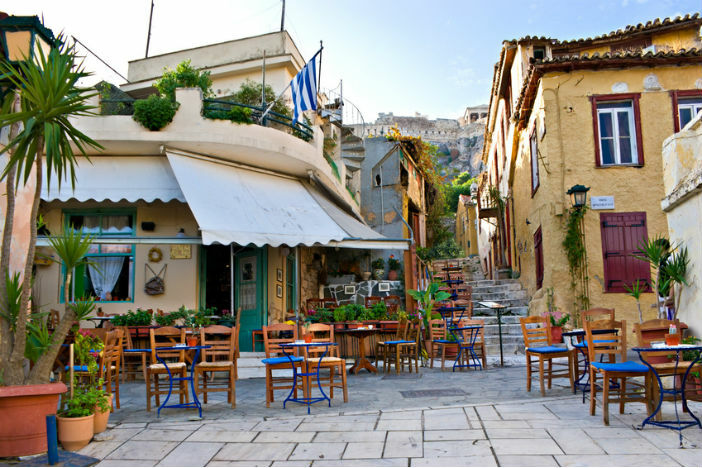 The wooden tables are arranged on the white steps leading up to the acropolis, and the Greek specialities are to die for. Order something with lamb or the catch of the day. Another wonderful option for getting a taste of authentic Greece is to book yourself one of Alternative Athens’ culinary experiences. Along with walking tours of street art and various other activities off the tourist’s beaten track, they offer the chance to eat proper home-cooked Greek food with the locals. Greek food doesn’t get better than the secret recipes handed down from one generation to the next, and since they’re usually closely guarded it is a real privilege to be allowed to try them. A culinary experience you’re likely to be talking about for years to come. If you stick to the big historical attractions, you’re likely to miss some of the most exciting parts of Athens. Make like a local and venture into some of the lesser known parts of town, and you’ll discover the undercurrents of counter-culture and political turmoil that make modern Athens so vibrant. Exarcheia is one of these areas, situated between the University of Athens and the Politechnion, you’ll find a variety of characters from students to anarchists. Venturing into this part of town will reward you with its amazing guitar and record shops, trendy comic book stores, and truly excellent coffee. And for night owls, head to Technopolis for some of the best partying in town. By day this one-time natural gas processing plant is an industrial museum, but by night it transforms into an event and art space that hosts some of the best acts around. Check out the events calendar for upcoming concerts, parties, DJ sets and exhibits. If this guide has sent Athens to the top of your holiday destination wish list, visit the Cruise1st’s dedicated Mediterranean cruise deal page to browse the very latest cruise deals to the region. Alternatively, give our team a call on 0808 274 6777. Visiting Athens on your next holiday? 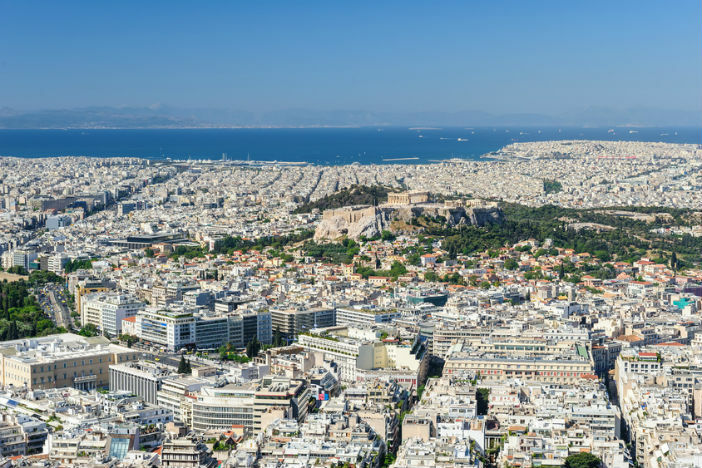 Check out our guide to the city, which includes advice on what to see, where to stay and the best places to eat and drink during your trip to the Greek capital.